We welcome you to step inside our boutique yoga studio - a beautiful experience awaits you. 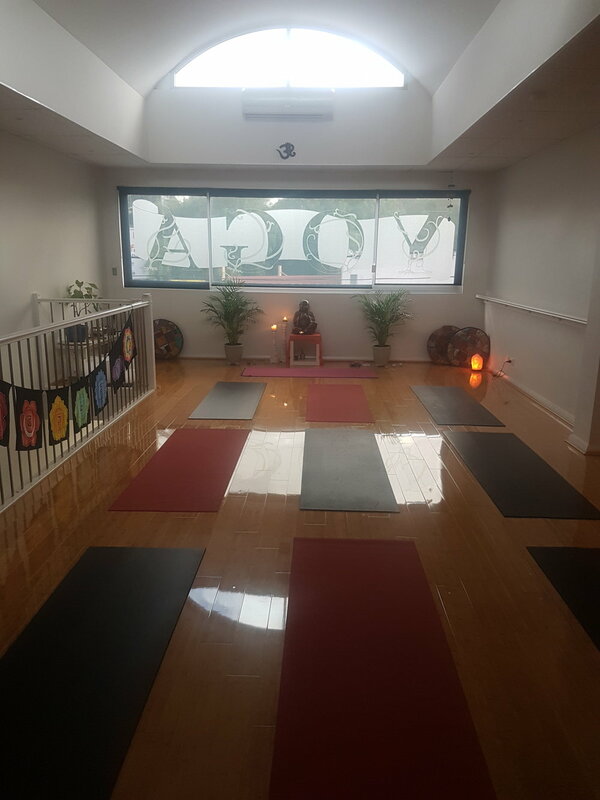 Whether you are new to yoga or deeply immersed in your practice we have the right class for you. All our classes are tailored to suit your individual needs. Each class offers a full body workout to help you build strength and flexibility, a guided pranayama (breathing) and meditation practice to enhance balance, calm and mindfulness. Situated on the first floor our studio is designed with bespoke bamboo floors, large arch sky windows and views overlooking Charman Road. Mats, props and bolsters are provided. 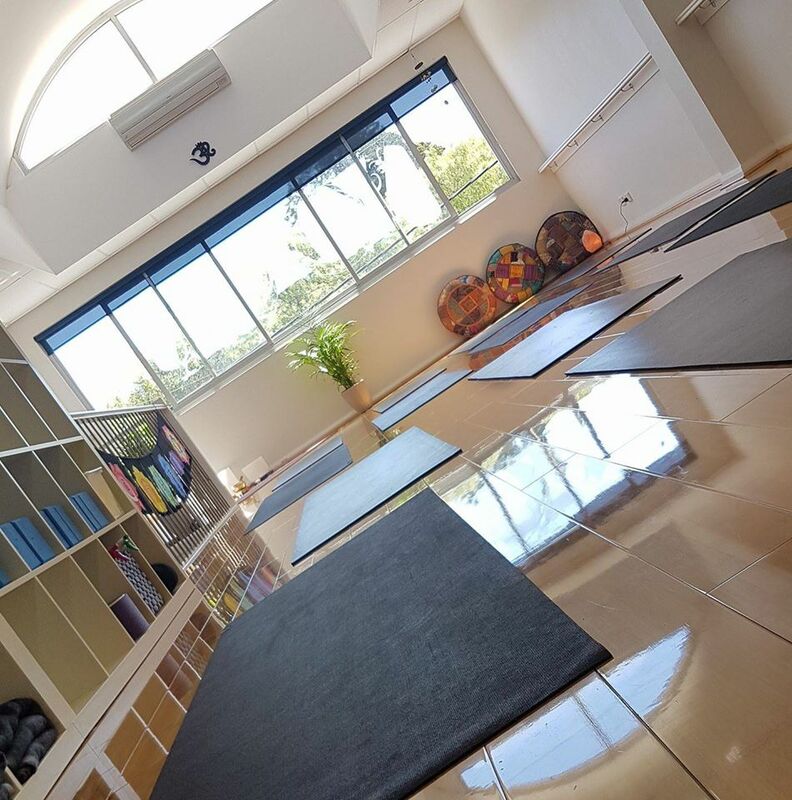 If you wish to use your own mat you can, we offer complimentary mat storage at the studio for your convenience. Facilities included a toilet/change room & kitchenette. Bottled water is available for sale. Modify or rest when you need. 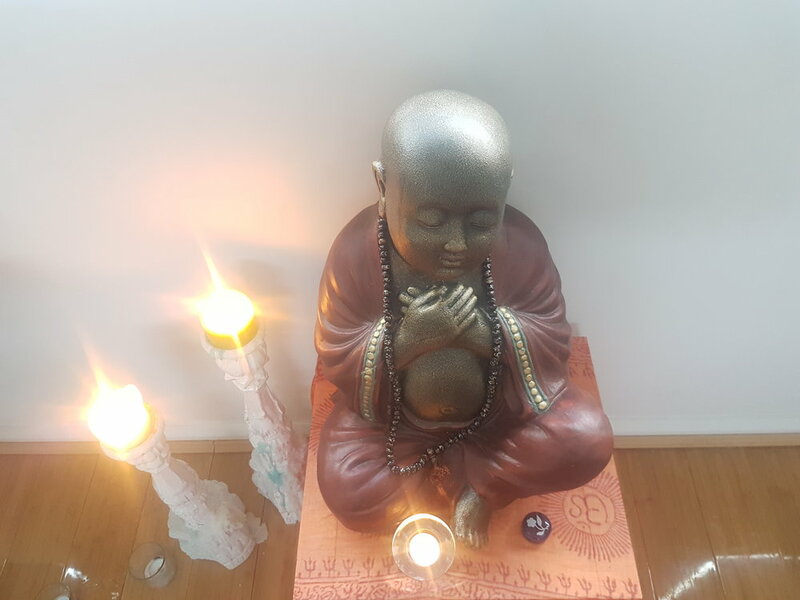 Commit to the practice, commit to yourself! It is true that yoga is good & beneficial for all people irrespective of age, flexibility and fitness levels - but it is also necessary to adjust your yoga practice to meet your own body, personal requirements, aims and goals. If you have decided to start doing yoga you are probably wondering what to expect in your first class. Do not be intimidated! Arrive at least 15 minutes early: It is important to be on time for class. This will give you enough time to fill out any enrolment forms and the opportunity to meet your teacher to discuss any questions or concerns and let them know that you are attending class for the first time. You will be able to find a comfortable space in the room, preferably closer to the back were you can observe other students as well as see the teacher. Mind what you eat: Keep the day of your first yoga class light and simple. Avoid spicy, fried or fatty food as they take longer to digest and may repeat on you during class. Avoid eating for at least 2 hours before class. It is not advisable to practice on an empty stomach as you may feel lightheaded. Drink plenty of water before and after class: It is important to stay hydrated during class, start drinking at least two hours before class but avoid drinking during class, if you do then only take small sips. Wear comfortable & light clothing that do not restrict your movement: You don't need to wear specific yoga gear, but you do need to wear clothing that is comfortable and will allow you to move. Avoid anything too loose fitting that may leave you feeling exposed and distracted by adjusting all the time, overly baggy clothing might fall in your face and blur the teachers vision of your alignment. Take your shoes off: Yoga is practised barefoot, shoes are not permitted on the studio floor. If you wish to keep your socks on, speak to your instructor. Talk to your teacher: Before the class starts be sure to let the teacher know that you are new to yoga, discuss with him/her how you feel in your body ( e.g. tension in shoulders & neck accompanied by head aches) and share your aspirations for your practice ( e.g. more movement in the shoulders ). Be sure to let the teacher know of any restrictions, limitations or medical issues that may effect your practice. The teacher will offer modifications where appropriate. Most yoga postures can be adjusted to your needs. Switch off your mobile phones: Be mindful of the students around you. The yoga class is designed to bring focus to your breathe and silence, it is rude to let your mobile phone disrupt yourself and others, so please turn it off. Honour your Body, do not be led by your ego: Never push beyond your natural threshold or force yourself into a posture. Practice mindfully, your yoga practice needs to enhance your sense of well being, feel good and build energy. Not exhaust and deplete your energy or leave you feeling worn out. The secret to a healthy yoga practice is NEVER TOO LITTLE and NEVER TOO MUCH.